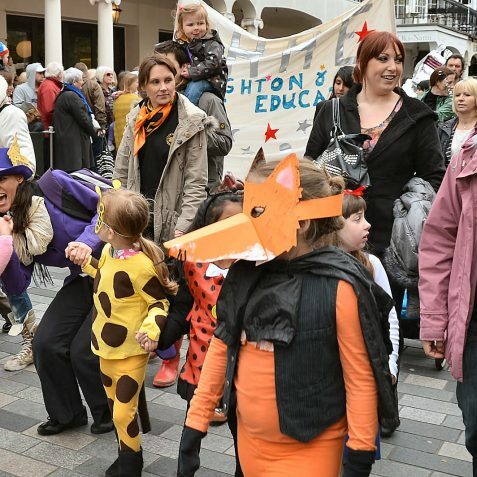 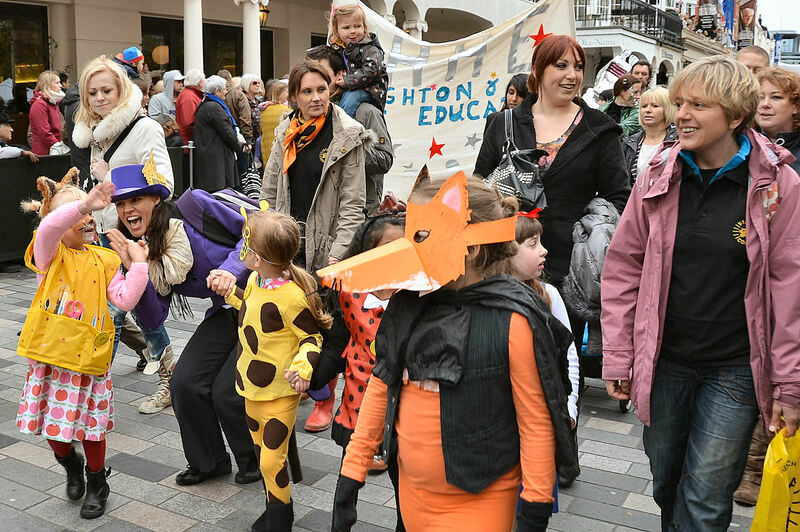 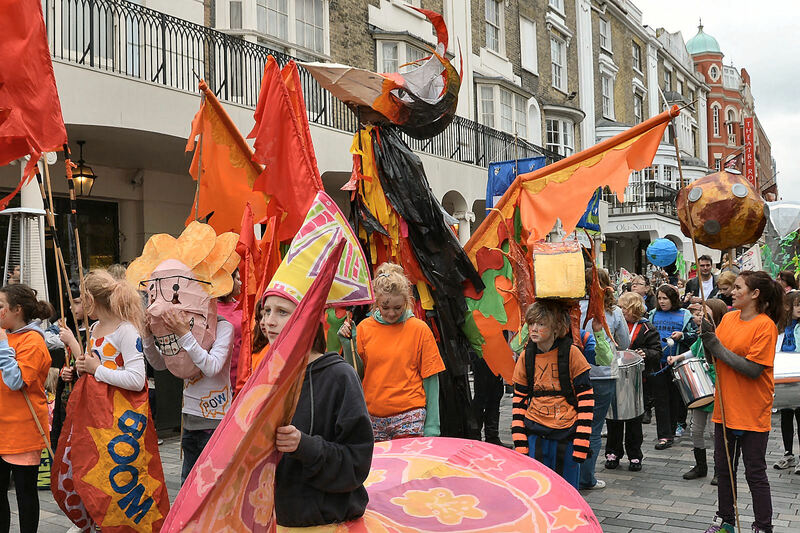 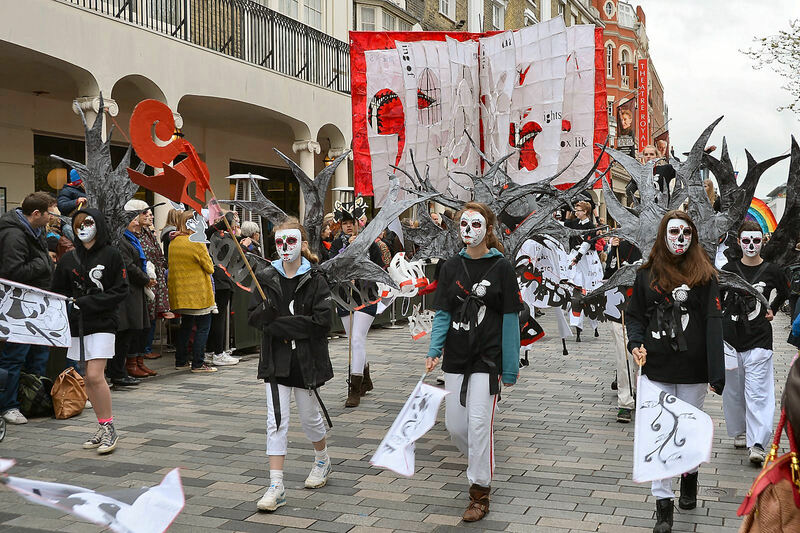 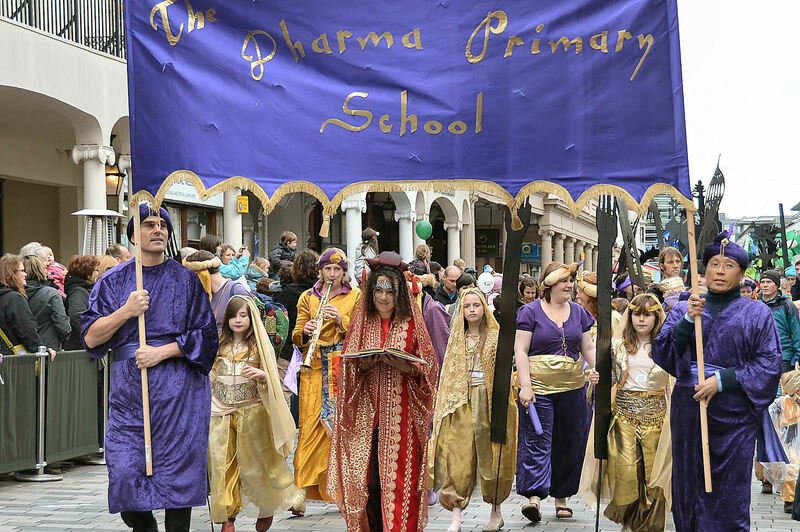 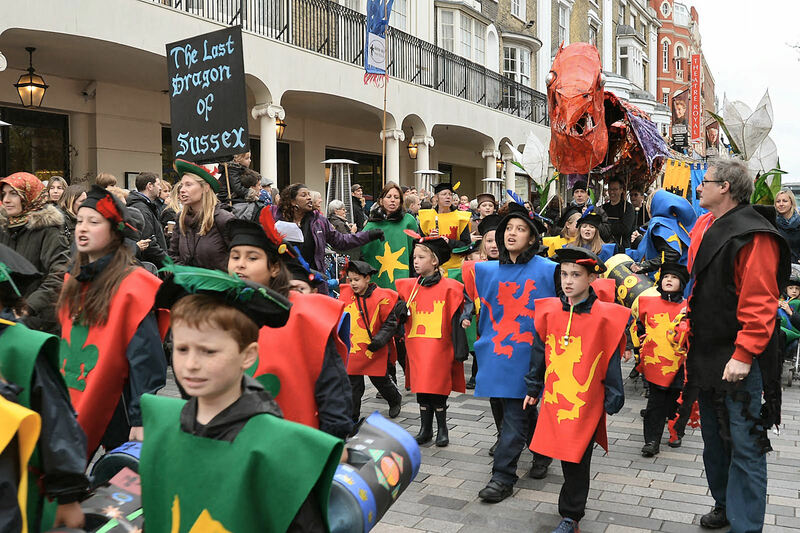 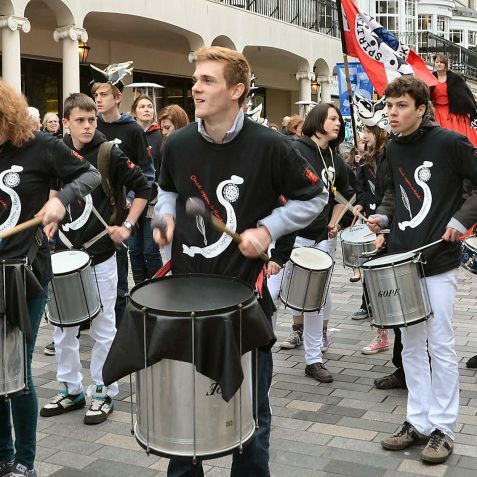 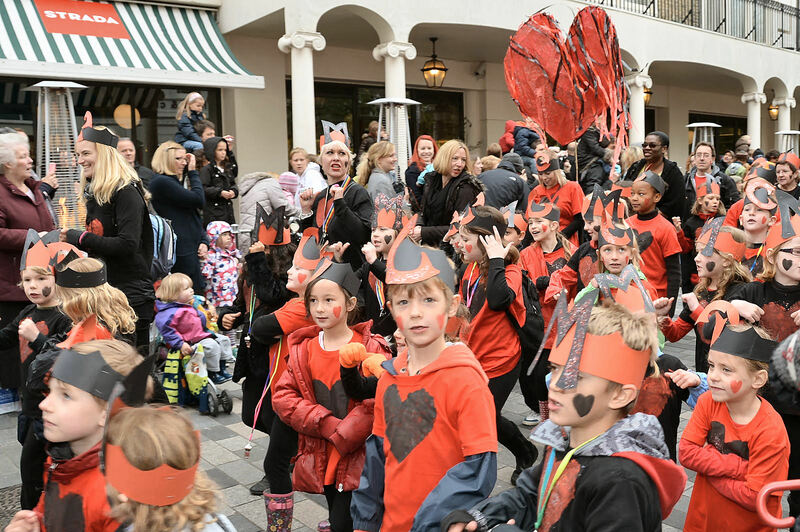 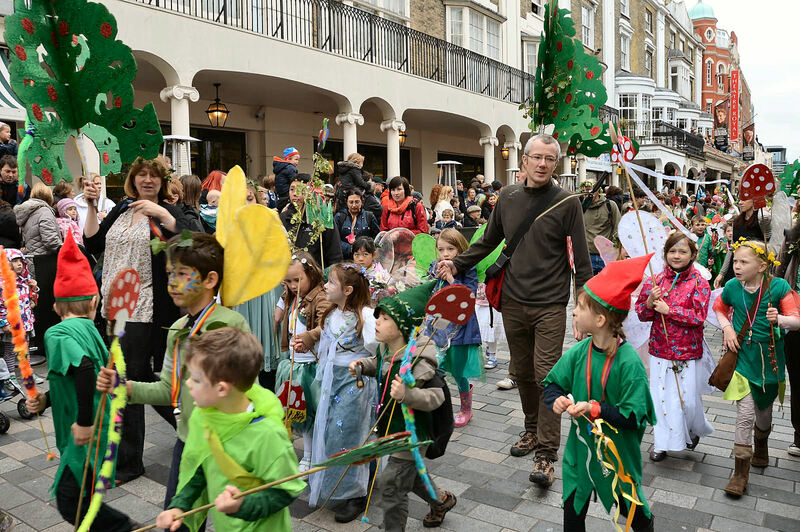 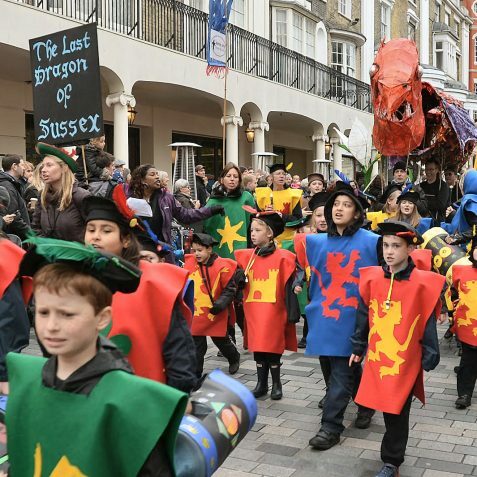 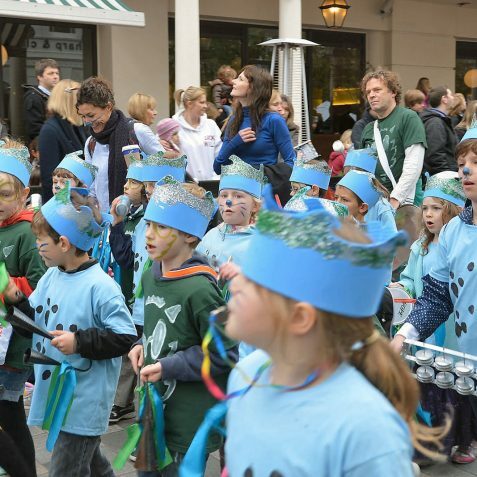 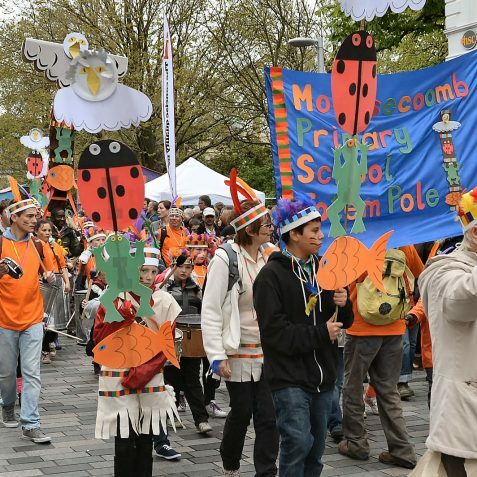 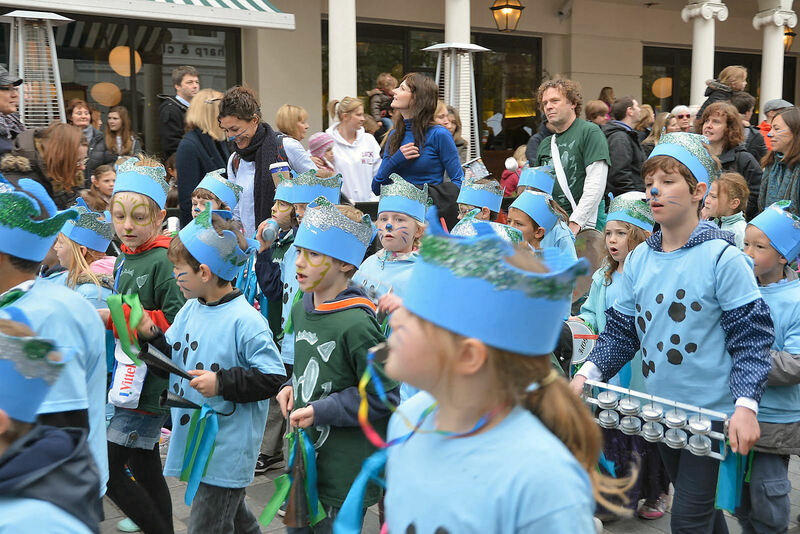 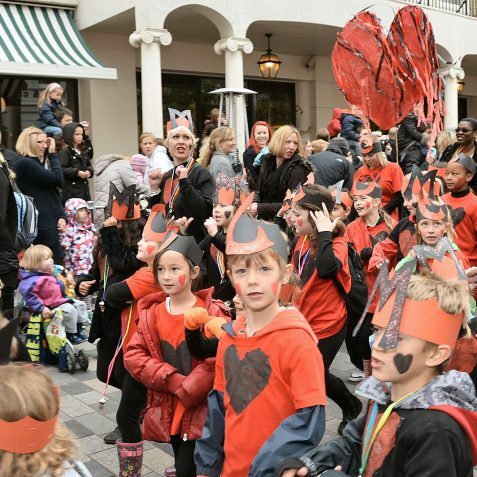 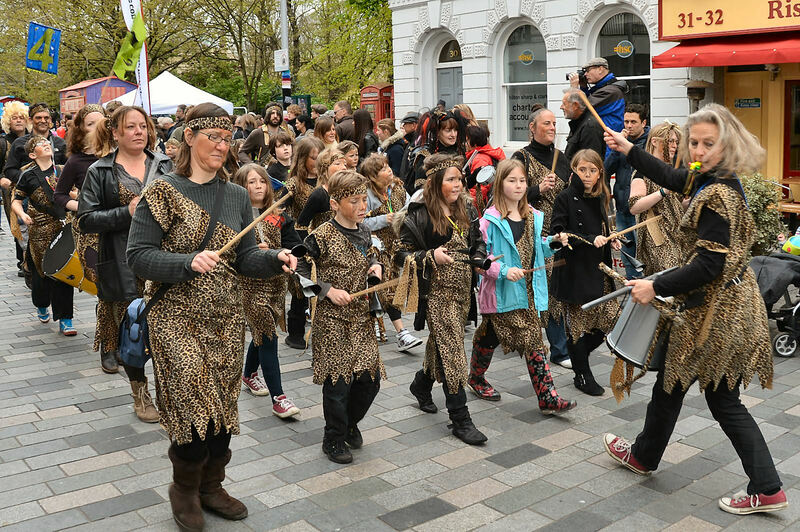 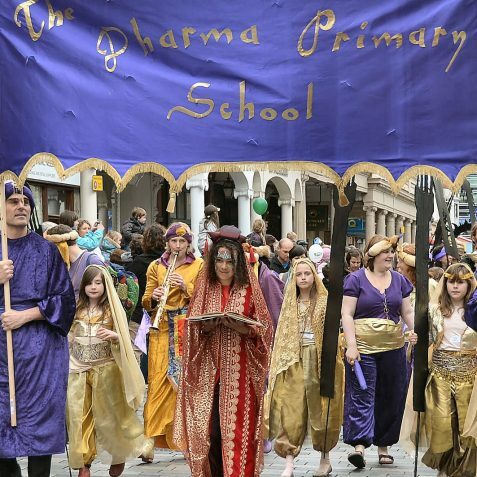 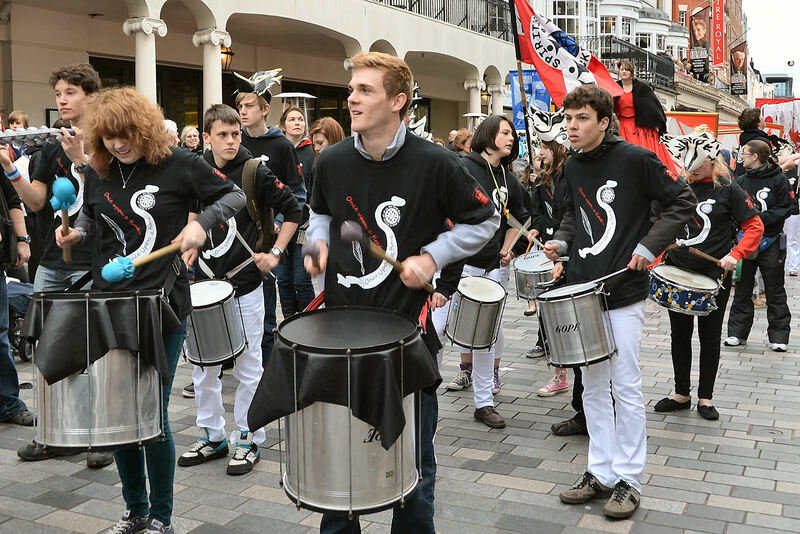 The Brighton Festival Children’s Parade is produced by Same Sky the award winning Brighton charity. 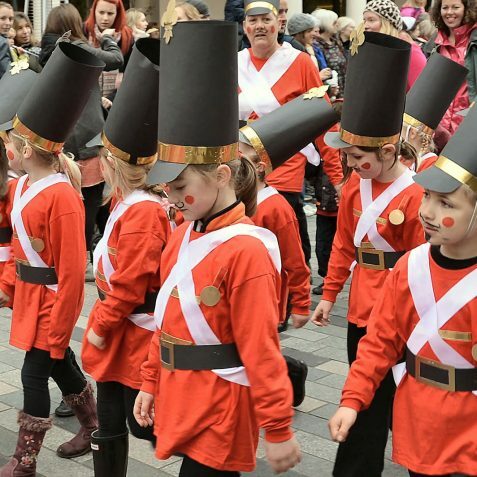 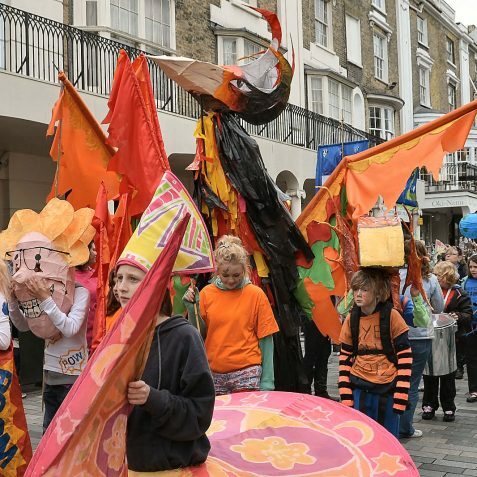 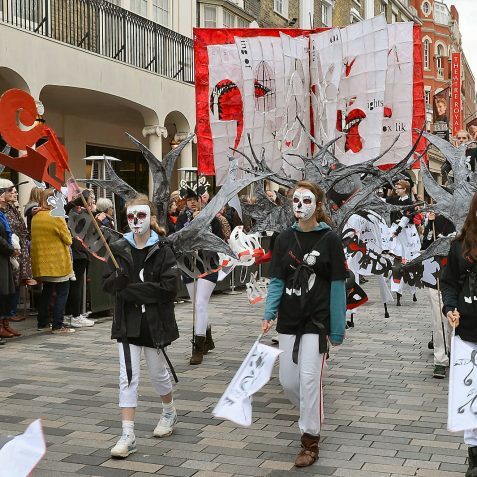 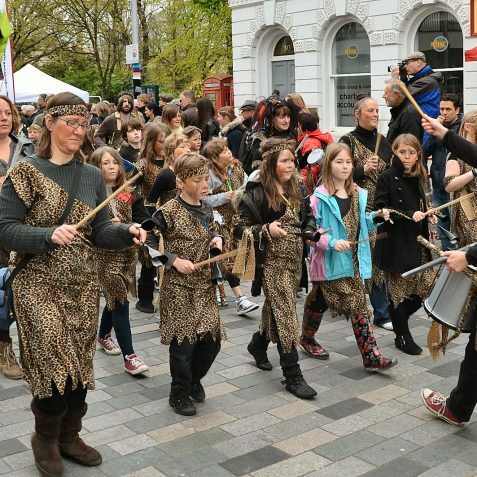 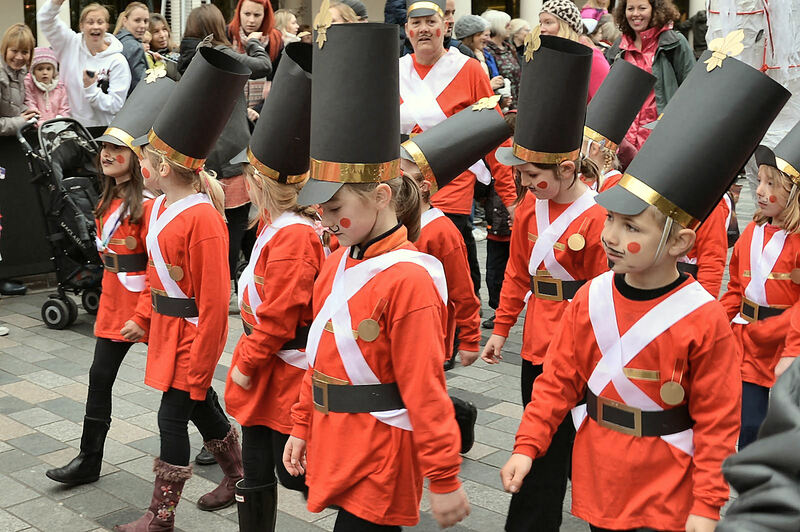 Six months of behind the scenes work is done in creating the parade, and Same Sky supports teachers from local infant, junior and secondary schools, as well as nurseries, playgroups, community groups and street bands to prepare their costumes. 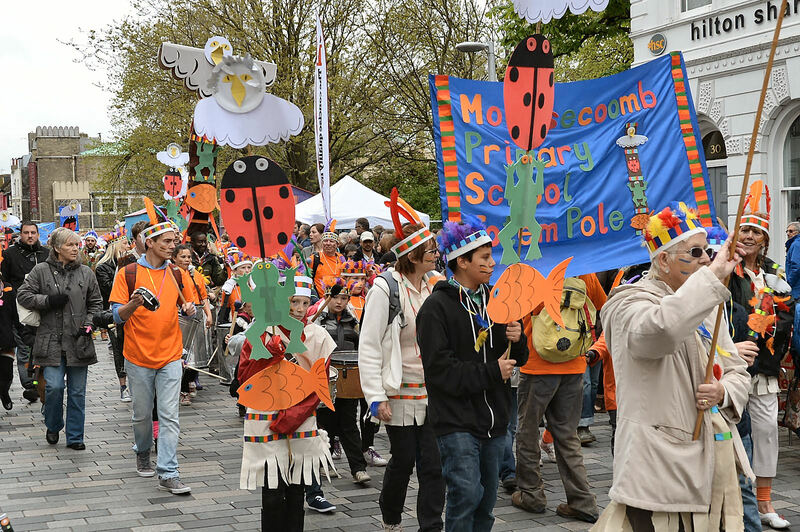 This is Davigdor Infants School. 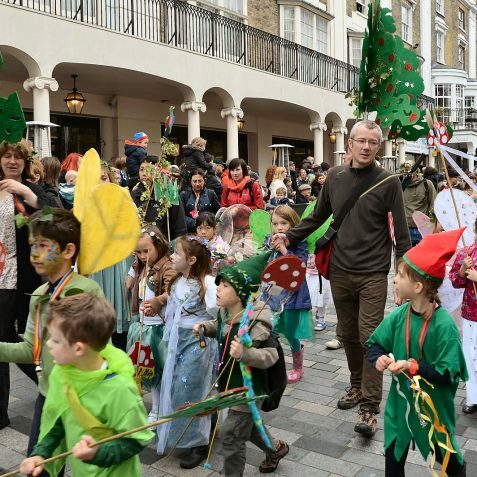 My son is in this photograph dressed as a pixie.